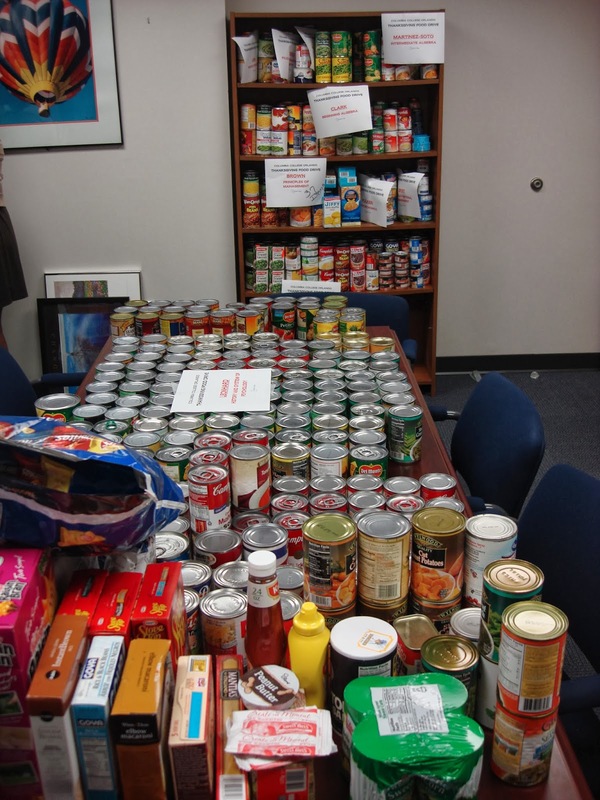 Orlando campus students donated 1,287 cans to the food drive benefitting The Second Harvest Food Bank, surpassing last year's donations by 75 cans! During the Thanksgiving holiday when we all give thanks for the blessings that we have, Columbia College-Orlando sponsored a food drive for those less fortunate within the Orlando area. The donated food was delivered to The Second Harvest Food Bank. Each class competed for a campus-sponsored prize, which was awarded to the class that donated the most cans during the one-week food drive. A total of 1,287 cans were donated by our students with Professor Leonhard’s class winning the can drive with 289 cans. This year we donated 75 more food cans than we did in 2012. Special thanks is extended to all those students who participated in the can drive and for making the Thanksgiving holiday just a little better for those in need.